Fr. Thomas Keating, O.C.S.O. (born 7th March 1923) is a Trappist monk (Order of Cistercians of the Strict Observance) and priest, known as one of architects of the Centering Prayer, a contemporary method of contemplative prayer, that emerged from St. Joseph’s Abbey, Spencer, Massachusetts, in 1975. He was born in New York City, and attended Deerfield Academy, Yale University, and Fordham University, graduating in December 1943. He is a founder of the Centering Prayer movement and of Contemplative Outreach, Ltd.
Keating entered the Order of Cistercians of the Strict Observance in Valley Falls, Rhode Island, in January, 1944. He was appointed Superior of St. Benedict’s Monastery, Snowmass, Colorado, in 1958, and was elected abbot of St. Joseph’s Abbey, Spencer, Massachusetts, in 1961. 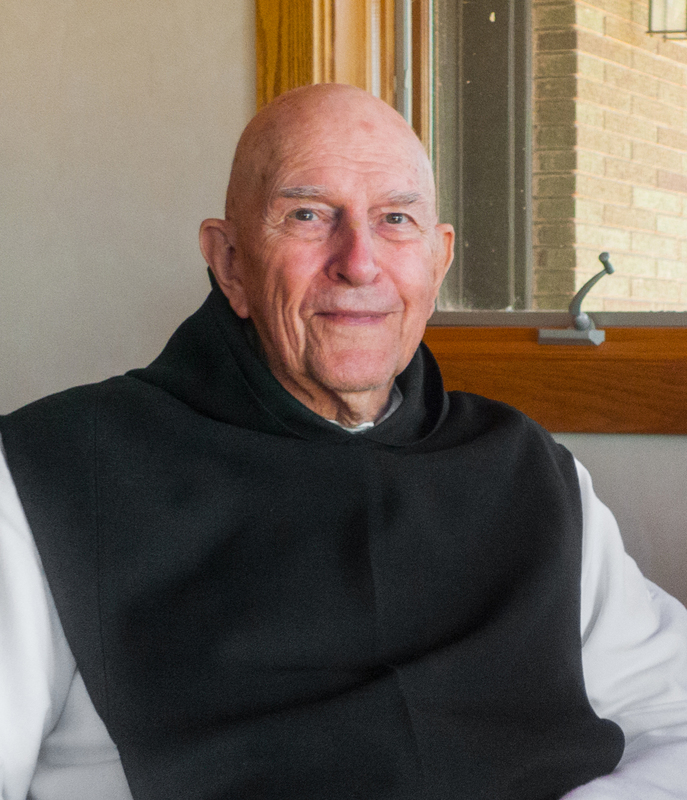 He returned to Snowmass after retiring as abbot of Spencer in 1981, where he established a program of ten-day intensive retreats in the practice of Centering Prayer, a contemporary form of the Christian contemplative tradition. He is one of three architects of Centering Prayer, a contemporary method of contemplative prayer, that emerged from St. Joseph’s Abbey in 1975. William Meninger and Basil Pennington, also Cistercian monks, were the other architects. When the concept was first proposed by Father Keating, Fr. William Meninger started teaching a method based on the 14th century spiritual classic, The Cloud of Unknowing. Fr. Meninger referred to this as the Prayer of the Cloud and taught it to priests at the retreat house. Fr. Basil Pennington gave the first retreat to a lay audience in Connecticut where the participants suggested the term Centering Prayer. Since Thomas Merton had been known to use the term prior to this, it has been suggested the phrase may have originated from him. In 1984, Fr. Thomas Keating along with Gustave Reininger and Edward Bednar, co-founded Contemplative Outreach, Ltd., an international, ecumenical spiritual network that teaches the practice of Centering Prayer and Lectio Divina, a method of prayer drawn from the Christian contemplative tradition. Contemplative Outreach provides a support system for those on the contemplative path through a wide variety of resources, workshops, and retreats. Fr. Keating also helped found the Snowmass Interreligious Conference in 1982 and is a past president of the Temple of Understanding and of the Monastic Interreligious Dialogue among other interreligious activities. Fr. Keating currently lives at St. Benedict’s Monastery in Snowmass, Colorado, as does Fr. William Meninger.